The art of brewing and drinking green tea has been around for centuries. In fact, green tea has been used for many different tea ceremonies in China and Japan. In these countries, there are rituals that must be followed and tools that must be used in brewing tea to be served to guests. The Japanese tea ceremony, for example, is steeped in tradition, and is still used to celebrate special occasions today. The tea traditionally used for a Japanese tea ceremony is called Macha, a powdered green tea. In Japan, emphasis is placed on the ceremony itself, rather than the taste of the tea. Today’s Japanese tea ceremonies typically last about 45 minutes, but in years past a tea ceremony could last for as much as five hours. Tea masters study for years to master the flower arranging, clothing and tea making that is used in a ceremony. During a traditional Japanese tea ceremony, guests enter, examine the tea utensils, flowers and art in the room. Then they kneel down and sit. They are served sweets, often soft cakes made of bean paste, while they watch the tea being made. The tea is made by a leaves practitioner, who has studied for years to ensure that the ritual is performed calmly and appropriately. The utensils used for a Japanese ceremony are also very important. The utensils are passed down for generations. There are special iron kettles, bamboo water scoops, tea bowls and traditional Japanese tea cups. In China, tea ceremonies are used to celebrate special occasions as well. However, in China, more attention is paid to the event being celebrated, along with the aroma and flavor of the tea than the ritual itself. The most famous Chinese tea ceremony is the performed when couples are married. Early on the wedding day, the bride serves tea to her parents at their home before her groom arrives. After the wedding ceremony, the newlyweds serve tea together to the groom’s family. The bride and groom kneel before the groom’s family members and serve them tea as a sign of respect. During the course of the ceremony, the bride and groom receive red envelopes from the relatives containing money or jewelry as wedding gifts. Certain symbols are extremely important in a Chinese wedding ceremony. These include the lotus seeds and dates, which symbolize children to be born early in the marriage and a sweet and happy life. For the rest of us, however, green tea is consumed for enjoyment and health reasons. In fact, drinking green tea may be one of the simplest and best habits you can pick up to protect your health. Green tea’s potent anti-oxidants have been shown to have many health benefits. Long term green tea drinking has been shown to prevent many forms of cancer, heart disease and high cholesterol. In addition, green tea has been shown to be an effective weight loss supplement and to regulate insulin naturally. Green tea has even been shown to be an adjunct therapy for cancer patients undergoing chemotherapy. Studies have shown chemotherapy to be more effective when patients consumed a green tea regimen along with their chemotherapy compared to patients who did not consume green tea. To make your own green tea, you must first choose a green tea variety. This may be the most difficult task of all, because there are so many varieties of green tea available. In fact, there is a saying that in China alone there are as many varieties of green tea as there are towns. 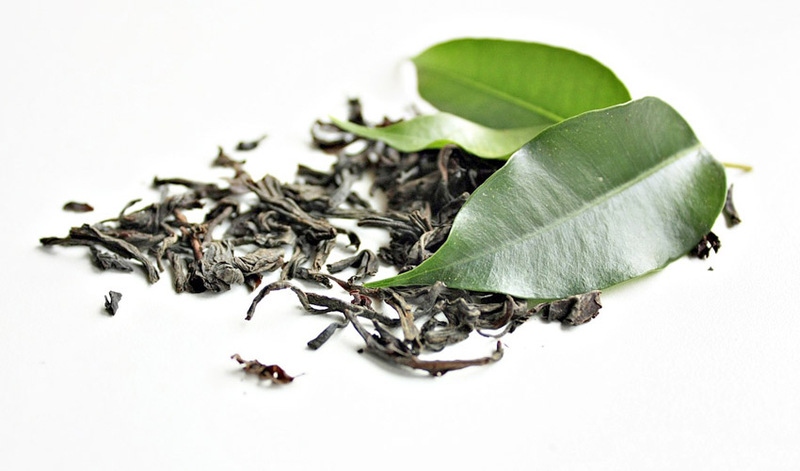 • Gunpowder Tea – known for its smokiness, Gunpowder tea is a tightly rolled pearl that unfolds as it steeps to reveal a pale green brew and beautiful tea leaves. • Sencha – This is a traditional Japanese green tea that is a favorite of the Japanese people for serving to guests. It is grown in the shadow of Mt. Fuji. If you’d like to try flavored green tea, it is often found combined with the flavors of vanilla, jasmine and mint. To brew the perfect cup of green tea, fill your kettle with fresh cold water and place it on the stove to heat. While the water is heating, add warm tap water to your teapot and your cups, if you wish, to warm them. When the water comes to a boil, remove it from the heat and remove the tap water from your teapot. Let the water sit for about 2 minutes to let the water cool down a little. Green tea should be brewed with water that is about 160°F, which is cooler than other teas. Add about 1 teaspoon of tea leaves per cup to your teapot and pour the hot water over the leaves. Most green tea should steep about 1-2 minutes before serving. The best green tea will give you 2-3 infusions. Whether you choose green tea to use in a traditional ceremony, to protect your health or just because you love it, you’ve made a wise choice. There’s certainly a reason that green tea is used in so many ceremonies and so highly revered in the Asian world. It’s a natural way to celebrate an occasion that’s healthy and delicious, too.